Having problems with your eyes or vision? It may be time to visit an optometrist near you. Even if you are not having problems, you should schedule a comprehensive eye exam no less than every two years, although once a year is suggested. Examining, diagnosing and treating the more common eye conditions, such as nearsightedness, farsightedness, astigmatism and presbyopia -- a condition wherein the lens of the eye loses its ability to focus on objects that are near. This normally occurs when a person reaches the mid-forties. Testing a patient for glaucoma and other eye diseases and prescribing the necessary medication(s) for treatment. Examining and diagnosing eye conditions related to or caused by diabetes and high blood pressure and then referring these patients on to other specialists as needed. Providing pre-and-post-operative care for laser surgery and cataract surgery. Prescribing corrective eyeglasses or contact lens, orthoptics, vision training, prosthetic devices, rehabilitation and medication to correct, relieve, or treat defects or abnormal conditions of the eye. As with other health care practitioners and optometrist encourages patients to take preventive measures to avoid eye problems by discussing healthy nutrition and educating their patients on proper hygiene and care of their eyes. 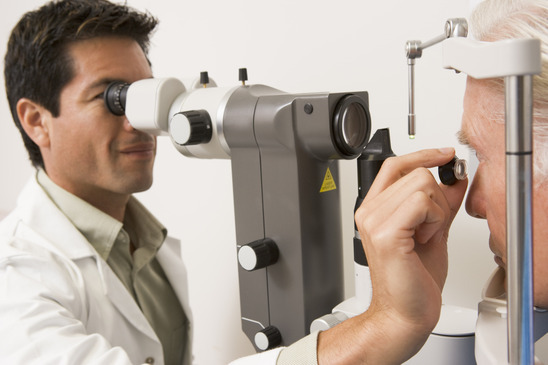 Some optometrists opt to specialize in a certain field; such as contact lens, geriatrics, pediatrics, or vision therapy. Others specialize in industrial optometry where they are in charge of protecting workers’ eyes from on the job strain and injury. There are also others who specialize in sports vision. A small percentage of optometrists also work as educators, performing research or private sector consulting. So what do you think? Let us hear from you!